I’m so excited to share that Asulia made it to round two of MassChallenge’s 2014 Accelerator Program! They choose 350 startups from over 1,600 applications and we’re one of them. We are a growing natural food brand with big ambition and a lot of heart. We’re thrilled to get an chance to pitch and continue to build and grow Asulia. 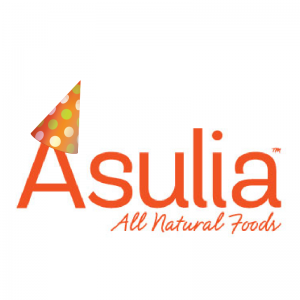 Next, Asulia will give a 20 minute pitch live in person to a panel of judges at the MassChallenge office. Out of the 300 startups to present, MassChallenge will select 128 startups for their 2014 Accelerator Program. We hope to be one of them. This opportunity would mean free office space for four months, free or discounted rates to resources, mentorship, and the potential for cash without having to give up any equity. One of the benefits of having VOD “Vegetable Obsessive Disorder “ is that I can help promote vegetables and all the great things that come from eating lots of greens! For example, heart disease is the number one killer in America, but this doesn’t have to be the case. At Asulia, we work to make eating vegetables fun and delicious for all. We don’t need another pill or fad diet to help address our nation’s health crisis, but products that help people eat healthier. Asulia believes in people, planet, and profit. We believe in the transformative power of nutrition and education to change lives. I’m working on my pitch by connecting with friends that have already been through the program. They are helping me prepare by making sure I include all the do and don’ts in my presentation. Who would know better than fellow entrepreneurs that have done this before? I applied last year, but didn’t make it to the semifinals, but kept working. Over the past year, I’ve proven my concept, built the brand, and bootstrapped to launch. With the nudge of fellow entrepreneurs, I re-applied this year and figured I would not know unless I tried. Now I’m one step closer to getting Asulia in the accelerator program and getting much needed office space so our summer intern has a place to work and more!